His Eminence Gyana Vajra Rinpoche has kindly agreed to bestow the following two empowerments. REGISTER and PAY FOR the VAJRAKILAYA TORMA EMPOWERMENT at the door. NO CREDIT CARDS OR PAYPAL CAN BE USED AT THE DOOR. CASH OR CHECK ONLY. VAJRAPANI BHUTADAMARA EMPOWERMENT on Monday, April 22, 2019. This event is open to everyone. The requested donation is $35. Cash or check only. THERE IS NO ADVANCE REGISTRATION FOR THIS EMPOWERMENT. Please register at the door. Since space is limited, arriving early will assure your spot. Khöndung Gyana Vajra Rinpoche was born in Dehradun, Northern India, on 5th July 1979, the tenth day of the fifth lunar month of the Tibetan lunar calendar, on the holy birth anniversary of Guru Padmasambhava. Rinpoche’s birth was accompanied by auspicious signs, blessing the Sakya Dolma Phodrang with the arrival of a second lineage holder of the glorious Sakyapa Khön Tradition. Rinpoche was given the Sanskrit name of Gyana Vajra (Tibetan: Yeshe Dorje), a practice that began with the birth of his noble father, His Holiness the 41st Sakya Trizin. At the age of four, Rinpoche began to read and write in Tibetan, and was remarkably proficient in his learning. Under the guidance of his noble father and of Venerable Lama Rinchen Sangpo, his early years were dedicated to the study of religious texts, reading, writing, grammar, memorization of the main Sakya prayers and the performance of rituals. 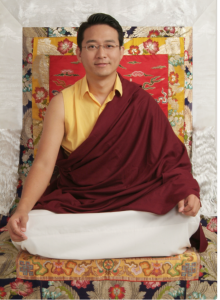 At an early age, Rinpoche joined the Sakya Centre, His Holiness the Sakya Trizin’s main monastery, where he undertook his training in the principal rituals and prayers of the Sakya Tradition. 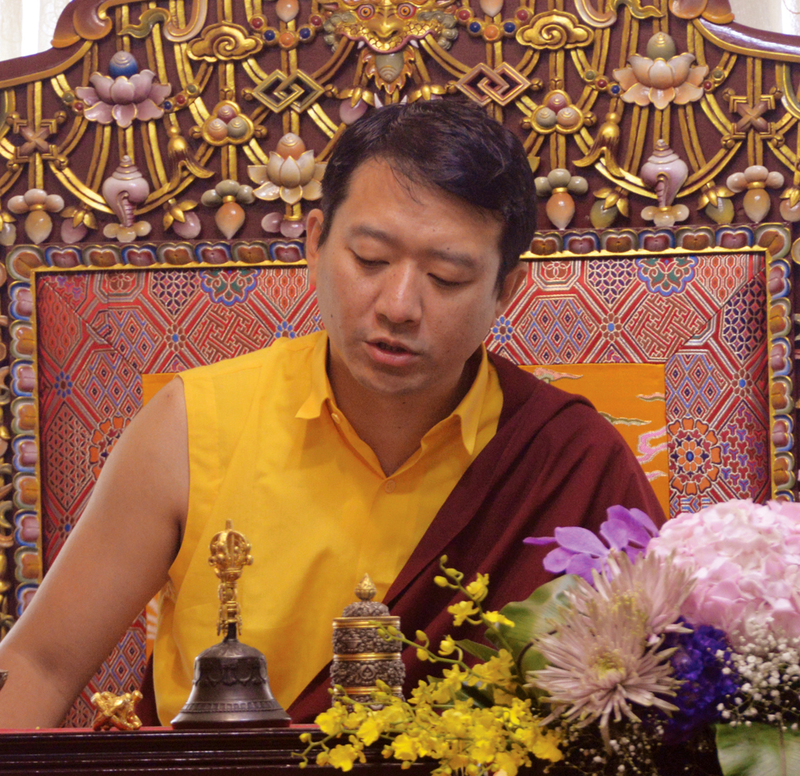 After successfully completing the course of studies at Sakya Centre, Rinpoche joined Sakya College and pursued its curriculum of Higher Philosophical Studies under the guidance of the late Venerable Khenpo Migmar Tsering. Throughout his life, Rinpoche has received from His Holiness the Sakya Trizin most of the major initiations, empowerments, oral transmissions, blessings and pith instructions that are inherent to the Sakya Tradition, notably the profound Lamdre teachings of ‘Taking the Result as the Path’. 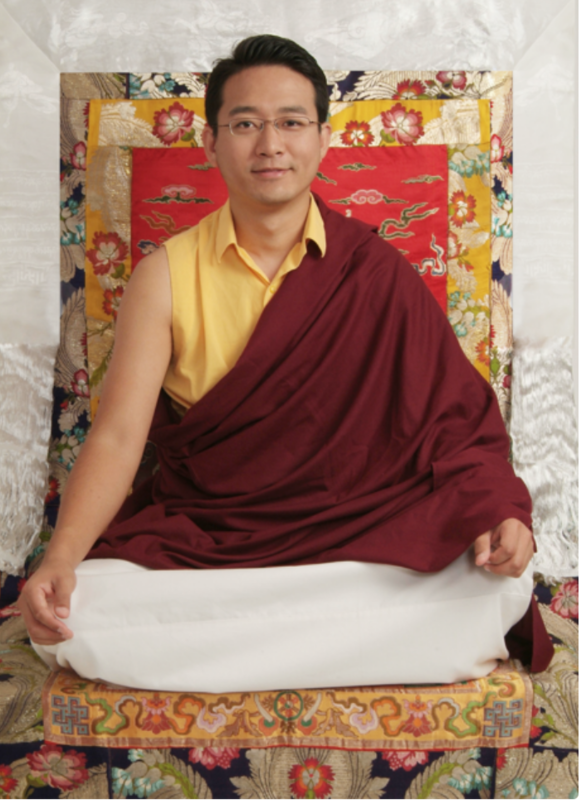 Furthermore, Rinpoche has received numerous common and uncommon teachings from some of the preeminent teachers of Tibetan Buddhism of our age, including His Holiness the XIVth Dalai Lama, the late H.E. Dorje Chang Chogye Trichen Rinpoche, H.E. Luding Khenchen Rinpoche, Khöndung Ratna Vajra Rinpoche, H.E. Luding Khen Rinpoche, H.E. Jetsun Chimey Luding Rinpoche, the late H.E. Deshung Rinpoche and the late H.E. Khenchen Appey Rinpoche. 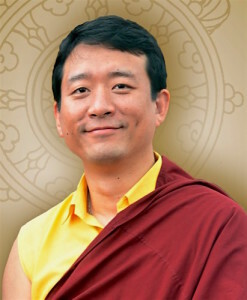 Rinpoche has, for several years, assisted His Holiness the 41st Sakya Trizin during his noble father’s teaching tours both in India and abroad, while he himself has regularly turned the wheel of Dharma in centers across the world, giving teachings and initiations to disciples in the Americas, Europe, Asia and Australia. 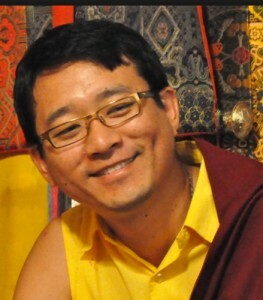 Rinpoche is fluent in English, Tibetan and Hindi.